At Home Budapest, 2016. 12. 01. 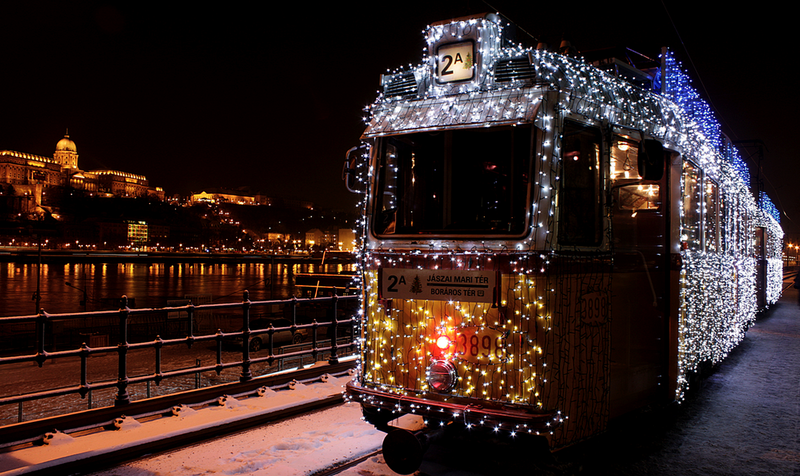 Budapest is an amalgamation of two cities Buda and Pest and both sides have always been a true devotee of the Christmas season. Many visitors and inhabitants choose to visit at least one of the Xmas Markets in Budapest this time of the year because there is so much to see and do. The main Xmas Market in Hungary takes place in Vörösmarty Square for decades, but lately the 2nd in line became the one in St. Stephen’s Square which features an ice-skating rink and a spectacular 3D Christmas light show displayed onto the facade of St Stephen’s Basilica in the evenings. There are some smaller markets located all through Budapest. One can be found at Liszt Ferenc Square (near Oktogon) and another one in the Gozsdu Udvar, the liveliest place of the downtown, formerly Jewish ghetto of Budapest. On the Buda side, the market, located Allee shopping mall is awesome and is growing year by year. Apart from admiring the Christmas lights and the neo-renaissance architecture which is so characteristic of Budapest, Christmas market is a great place to pick up some hand-made gifts and artisan sweets. One may enjoy a nice cup of mulled vine, a pair of spicy sausage with a side of sauerkraut or a roll of freshly baked, sweet chimney cake at the fabulous Christmas Fairs. Check out the many more wintertime programs Budapest offers and stay tuned to @GuideToBudapest’s up to date twitter page.